January 27, 2012, West Lakes, South Australia: Former World Champion U19 AG triathlete Ella Holmes celebrated Australia Day with a win at Race 4 of Triathlon South Australia’s State Series yesterday at West Lakes. It was her first win in season 2011/2012 since making a return to competition after winning the World Championship title in 2009. 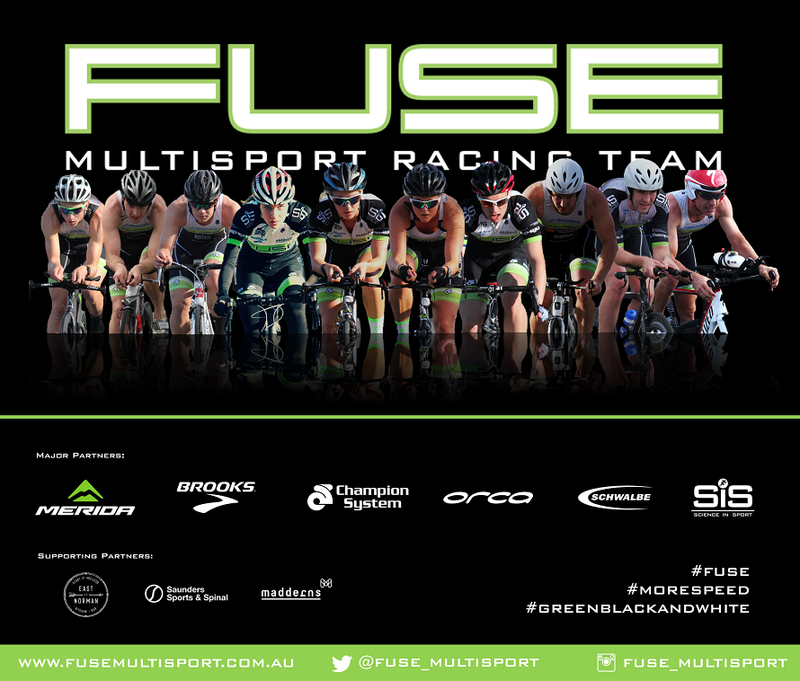 In hot and windy conditions, the Fuse Multisport Racing Team athlete led the female open field out of the 700m swim leg and was never headed, holding her lead on the 20km bike course, before extending her advantage on the 4. 8km run leg to beat classy rival Maria Kosztovits. Ella’s time of 1:01.48 was a course record for season 2011/2012 and secured 13th individual place overall. The event attracted more than 600 competitors across various distances. Coach Steve O’Brien said that Ella’s strength has traditionally been her swim leg, but a run focused training schedule over winter, and grueling speed sets over summer, had developed her run endurance and speed. “El’s been working very hard to improve her run speed” he said “and it’s beginning to pay off”, O’Brien said. The win capped off a busy month for the outstanding 21 year old triathlete who is in the middle of a demanding preparation schedule for national series events. She said the race was a good confidence builder ahead of the Victorian leg of Triathlon Australia’s World Championship Qualification series on February 12, “Today was good preparation for the Geelong Olympic distance event” she said, “we completed a pretty hard bike training session before and after the race, so I’m really happy with a win”. Professional Ironman triathlete Matty White won the male event ahead of Shane Johnson.